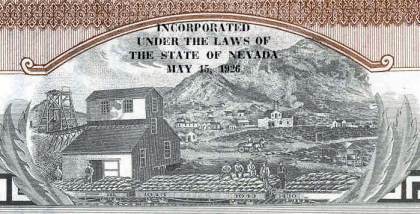 Beautifully engraved unissued certificate from the Desert View Development Company dated 1926. This historic document has an ornate border around it with a vignette of a town with a train loaded with bags of ??? in front.